Ink Blot Shop and MISTI!!! Giveaway!!! 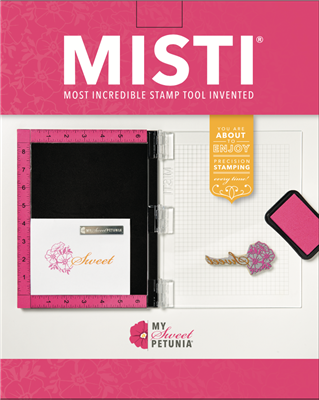 Welcome to the Ink Blot Shop and MISTI Hop! 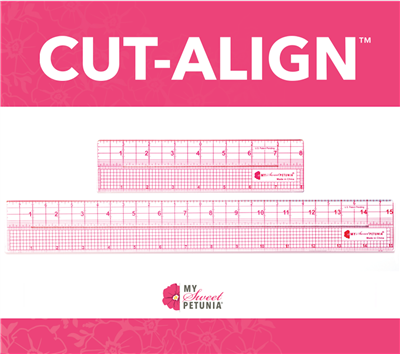 My first card uses Food For Thought along with my Mini MISTI and Cut-Align from My Sweet Petunia. 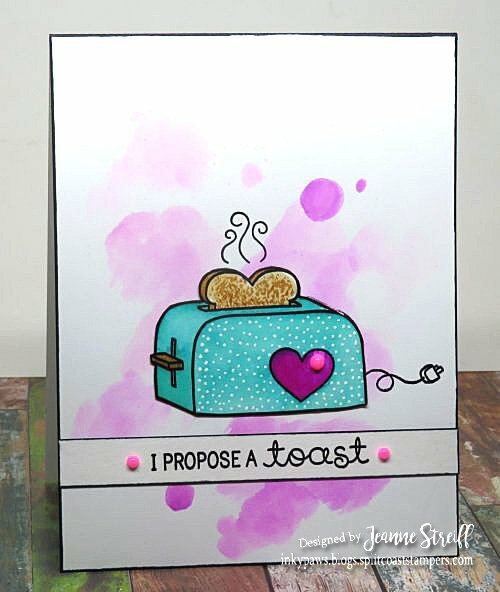 I colored the toaster and background with Arteza Real Brush Pens and added Nuvo drops for a little dimension. Now hop on over to Giovana Smith!!! This entry was posted in A Colorful Life, All Occasion, Ink Blot Shop, MISTI Tool, Stencils. Bookmark the permalink. Sweet cards and they made me giggle 🙂 Thanks for sharing! Adorable! I need that toast one!!! Just love the backgrounds you created! Thanks for sharing! So cute! Especially the eyes. Love this collection….thanks for the chance. These images are sooo cute! I love the backgrounds too! Darling cards! Love love all the images and colors!!! To be a winner winner chicken dinner would be stamptastic!! 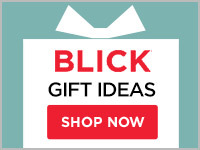 Simply darling cards and sets !! WOW … Never heard of this company. Beautiful card and cute stamps!!! These are so darn cute! Too cute for words. I really like the background on the jam card. Thanks for sharing. Oh how fun!! Your coloring is delightful!! Great prizes too!! Fantastic cards! Versatile set! Thanks gobs! Love how you combined the two stamp sets. but you proved me wrong. Great cards. The seeds/dots on the bread is so cute!!!!!!! Nice job. I love these. The strawberry jam is really cute and silly. Nice. These are so cute! 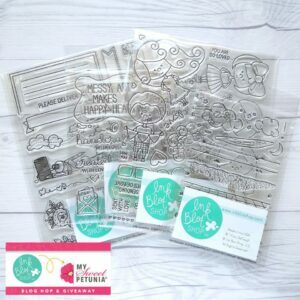 Great and versatile stamp sets and love your backgrounds. These are just too fun! These cards are so cute with these little images. The messages are so smart. Sweet cards that my grandchildren would especially enjoy with those clever messages to match. Those cards are such fun! Cute cards. Lots of fun. Thanks for sharing. Okay now I need these stamps! 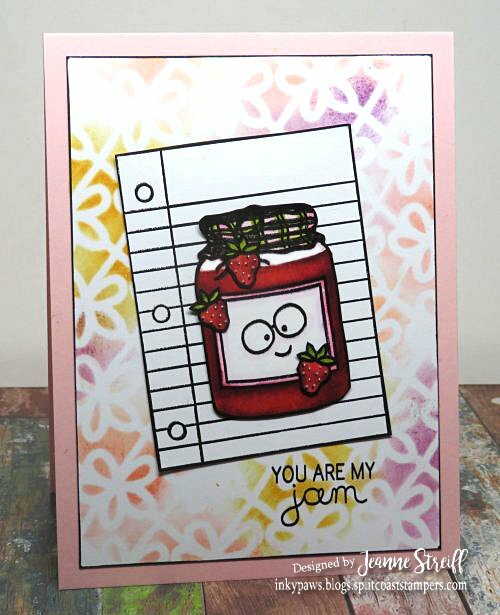 I really like the layering of the paper behind the jam.As the background stencils .I have so many friends that make jams and jellies.The card is really grape for anyone ! lol pun intended! Thank you for sharing! These cards are adorable!! I love the toaster…so cute! TFS! Jeannie, thanks for introducing me to products that I have never tried. The colors are so vibrant and make the images jump out and smile. Love this collection. Beautiful cards! Love these cards. The toaster one is my favorite. I am already a sucker for cute food images but that toast is so fun,with all the texture. Those are so cute and go together – toast and jam 🙂 Nice polka dots on your toaaster, too! These are so cute and fun!! These are so fun. The adorbs toaster reminds me of days gone by. The Food for Thought set is at the top of my list! Love it. Oh, I think I need Food for Thought, and that toast is just wonderful! I can practically taste the toasty bread. Super cute! I love the stenciled background too! Great sentiments. Such cute characters. These are so adorable and funny!!! I love the toast especially!! 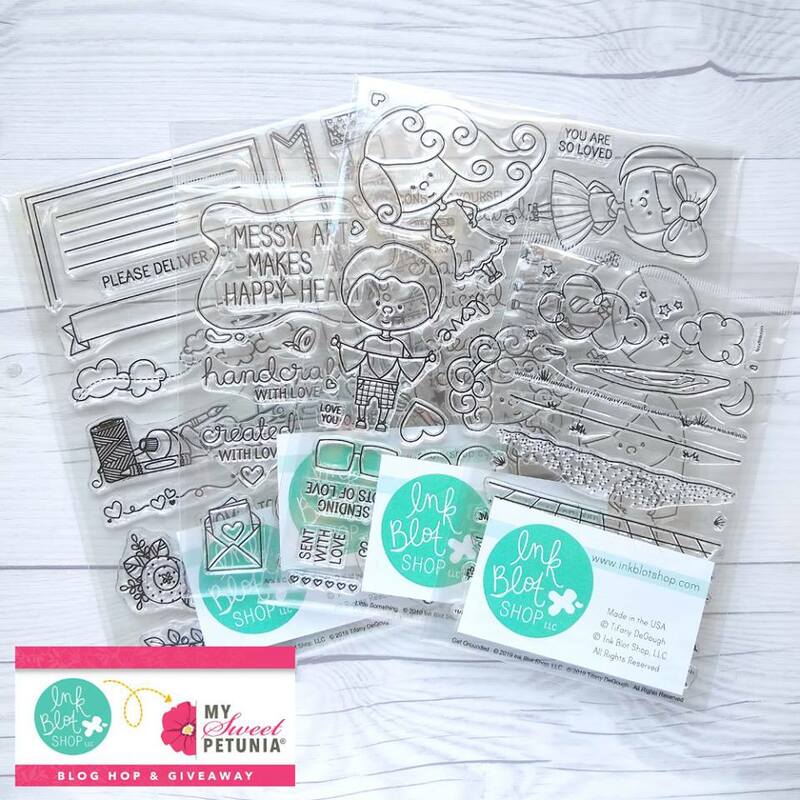 Oh what fabulous and super fun cards! 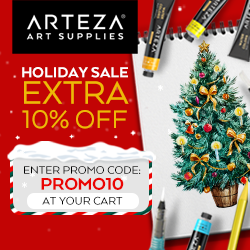 Beautiful coloring, backgrounds and designs. Your cards are SO cute – just love them! These are darling! Great coloring and design!!! Oh my, beyond cuteness in these gorgeous cards. They are both so cute ! I like the way you colored the toaster. What delightful and fun cards! Very cute and fun cards! these stampsets are precious! I must have! Thanks for the chance! ute as can be! Love these delightful cards! Adorable cards! Love those sentiments! Super Cute Cards! Love the backgrounds too-thanks for sharing. Very cute cards. I like the backgrounds on both. I like the colors you chose for your awesome cards. 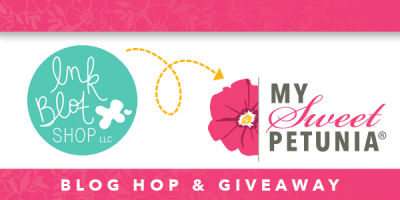 Just found this blog hop. Adorable cards. Oh, my goodness!! These are both so adorable!! I love your polka dotted toaster; so fun! Awww!!! Both your cards are adorable!!! Love the colors on the toaster card! These cards are so cute!